I have been in trading business for 8 years. I have to admit that my starting point as a trader was pretty bad as I did all the beginner mistakes one can possibly do and received several margin calls on prior accounts. Then I read about Elliotwave methology and it piques my curiosity, so I decided to try several different service provider at the beginning. Unfortunately I was disappointed as these service didn’t provide me any good market insight and I still continually failed. I kept searching for something better until I came up with EWF. In fact, I was ready to quit from trading if it didn’t work out. EWF really transformed my mindset as a failed retail trader to a professional one. They turned me from one of the 95% people losing money, to the 5 % traders who make profits consistently each month. EWF provides a clear well tested method with strict rules, and if you follow it to the letter, it can make you become a successful trader in no time. EWF is not a cheap useless signal service but you can learn how the market works and how to correlate different trading instrument for a more accurate forecast. Last but not least, I need to admit that being almost in every live session every day made me produce profits even easier.In conclusion, this service in my opinion is the best among all available ones in the market and I would recommend it without second thought to anyone who wants to transform himself into a professional and profitable trader and also to traders whose target is to work in a hedge fund. Since first day I subscribed at Elliottwave-Forecast,Ive been watching improvements on my trading, as they work much as possible in order to deliver you not only awesome and high-accuracy, but education materials and live sessions, or webinars, that give you an in-depth view of how really the market moves. Also, I would like to note that their 24 hour chat is highly helpful, with analyst giving you fresh updates of the market, specially when there are volatility on the air and when its needed, they notify you about adjustments in real-time. When you pay for this service, you start to see and analyze the market with a never-seen outlook, which you wont find in another forecasting services, because Elliottwave-Forecast REALLY does what they tell you in their slogan: make better decisions. Thanks to EWF, also, Ive been trading several instruments which I had fear to trade, as I didnt know how to analyze them, but when you find that there are correlations in the markets, something that EWF teaches you, absolutely you erase that fear from your trading day! I am have trading for almost 6 years. I was using several strategies for swing trading on Forex, Stock Indices and commodities. In my trading carrier, I quickly realized that free launch doesnt exist and the success can come only after hard study and hard work. I soon realized how much classical indicators are only able to explain what happened in hindsight but not very good at forecasting the future path. Learning from EWF educational seminars was extremely useful for me because the content of these seminars provide specific gears for specific market situations and allows me to improve a lot my forecast capability, to identify precise and high probability trade entry context, to define great Risk/Rewards and thanks to well identified stop loss and target areas as to maximize the profit of each trade through Waves/RSI/StockRSI analysis. On top of this, the subscription service is great because it allows me to get confirmation of my own analysis, reduce a lot of losing trades and continuously improve my own market understanding and personal market analysis capabilities at the same time. I believe a good trader carrier to have the main legs consisting of improve a traders technical skills and improve a traders confidence in him/herself and their plan. EWF seminar + EWF subscription are great on improving boths legs ! In conclusion, I strongly recommend EWF seminars study and the related subscription to market forecasting services. EWF Team have open my eyes on what trading is all about. Its like if three quarter of what i have learned before to trade have no sense. Have push my trading very far better than what it was and my progression is huge with EWF Team. These guys are really fantastic . I would strongly advise any friend or anybody who want to be a winner in trading to use EWF Service. I think your service is fantastic and I love it. I have been a member for over 1 1/2 years now and you have turned me into a profitable trader. Prior to this I was break even at best and managed to blow a couple of accounts but I have now doubled an account and I’m on track to do this again all by listening and applying principles taught by EWF. I find your service totally professional and always trying to help traders as much as possible. The charts are clear and concise and explanations easy to understand. Thank you for the effort that the entire team puts in. I joined EWF to learn the practical application of EW theory. The Analysts are all awesome. I truly appreciate Eric, Daud, Hendra and EWF team’s devotion and time. Their work presents the scientific and objective approach to market forecasting with the Elliott Wave Theory. 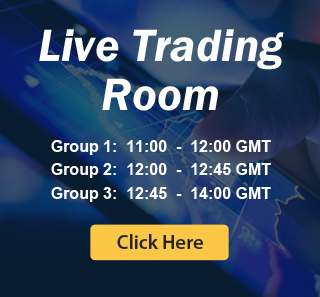 Their live sessions are educational and they teach real-time application of the Elliott Wave Theory to the charts. The chat room is available 24 hours to answer member questions.Eric has greatly expanded upon and refined the concepts first discovered by R.N. Elliott. Every day in live sessions, Eric and his team present these concepts in a logical, step-by-step fashion in the actual order they should be applied to a chart. The EWF live sessions, Trend Reports, Proprietary Pivots and 1 hour, 4 hour, Daily and Weekly charts(updated regularly) for 50 instruments really sets EWF apart. EWF Team, I truly am impressed with your unbiased analysis. I highly recommend EWF if someone has a passion for both a greater understanding of the dynamics of price action and an ability to accurately forecast future price action, the EWF team will help to achieve that goal. Thanks for being such a great guide in the Forex/stock index arena. I have been a subscriber for almost 4 years and you are no doubt one of the best, especially mid to long term forecasts, and yet striving for perfection. It was eye-opener to learn how instruments/markets are correlated each other and finding the correlations can lead to successful trades. Keep up the wonderful work. My experience in trading is 7 years and 4 years I used Elliottwave to trade the market above that I registered in alot of online forecasting website none of them make my equity rise but with EWF is different the only guys knows how to read the markets and they always with the TREND with them my equity expansion not just that the way that the communicate with members and keep everyone update 24H !! anytime you need them they are there for you !! they give you more than and alot of what you pay !! very professional forecasting and I REALLY REALLY recommended this service for everyone that want to be a winner!! Thank you Elliottwave Forecast Team for making me a better and professional trader and separating me from the retail crowd. I was having losses after losses until I came across this website through google search. Very professional and honest team of analysts who don’t have a bias. They try their best to keep clients on the right side and hence profitable. Highly Recommended. Extremely impressed by Elliot Wave Forecast. They don’t just offer signals but a whole education in Elliot Wave theory. Unlike some other services the admin/moderators are genuine, available 24/7 and go that extra mile to help improve your understanding. After just 2 weeks, my account is up 4% and my understanding is up by 100%. Within 2 days it paid for itself. I am new to trading and Elliott wave but since joining Elliottwave-Forecast, I have learned a lot and keep on growing my account month after month. I can even make my own trading decisions based on all the education and tips that I receive from moderators in 24 hours a day chat room and live screen sharing sessions which I believe are a unique feature of this service. I would highly recommend it if you wish to improve your learning and be profitable on a consistent basis. I am a dedicated trader and have always been member of various trading societies, but EWF is different. Recommended by a Professional, I found impressive people behind it,prompt valuable system, clear specific details ahead of the market at all times. A recommended experience to every professional trader, where you find a wealth of information. EWF is like a breath of fresh air in the trading mentoring market! Eric and Daud are spot on the mark with their trading and share their advice and trading ideas in a professional and friendly way. This is not a Signal Service – it is much better – you learn to trade for yourself but have the benefit of the guys to help you. You can ask any question in the Skype room – no matter how simple or daft – and I should know! ? I have never come across someone like Eric who must spend 18 hours per day trading and helping the EWF members at the same time! I can’t recommend EWF highly enough! As someone new to trading I noticed Elliot Wave Forecast on the social media Twitter. I was amazed how different and accurate their application of the Elliot Wave principal was. After joining I quickly realized that I was dealing with experienced and skilled analysts who also to my surprise are extremely humble and friendly to all members. I have found their analysis to be consistently highly accurate and reliable. The unique thing about Elliot Wave Forecast is that their goal is also to teach traders to become knowledgeable, skilled and profitable. All this is accomplished in a daily interactive atmosphere between members and analysts that feels like a family. I think this combination is truly unique and highly recommend joining this service. I started trading SP and Russell 2000 ETFs in my Roth IRA a year ago. For nine months my results were positive but only fair at best. I started using Elliott Wave Forecast in July of 2012 and now EWF is my new best indicator. Daud Bhatti and his team, along with RSI and slow stochastics, help me identify tops and bottoms with nearly pinpoint accuracy. Since joining EWF I have learned a wealth of information. I view the market in a completely different light. Eric and staff are extremely professional and are just outright amazing. In cases where I would of been short, I am now long. Since joining I have never been on the wrong side of the market. I would recommend anyone to jump on board with the trial plan to see for yourself. EWF is my new addiction. I can go on and on and on about how good Eric and Daud are. So humble and so nice to deal with and never hesitate to answer any of my questions. I tried many services before joining Elliottwave-Forecast but was always dis-satisfied with either the analysis or attitude of service toward the clients. I wish I was allowed to share my live accounts results in this testimonial so I can show everyone how my account has grown exponentially after I joined this service. I highly recommend this service. 95% forex retail traders lose money. EWF gives you the insight, tools and the guides (charts) to ensure you’re one of the 5% who ‘make’ money. Last month (May 2012) with EWF’s insight my account increased 17.52% (net), and it was a difficult month to trade. You are definitely the best guys out there. You can use me as a reference any time !! I have followed numerous Elliott Wave analysts and no one counts corrections better than EW Forecast. The intricate details matter in EW, and counting the intricate details often prevents bias from entering into Elliott wave counts and ultimately save clients money. I have an established system and I use EW Forecast to provide added probability to my trades. When my system and EW Forecast analysis agree, I trade larger and make more money on higher probability set ups. What a great service ElliottWave- Forecast is, James Eric make a great Elliott Waving Team and they certainly know their stuff. They offer a real thorough value for the money in an Elliott Wave service compared to the other EW sites on the internet. There signals are all very low risk and highly accurate. Eric and James are both excellent Elliott Wavers, and convey their EW interpretation of the market in a very clear and concise way. I would highly recommend this service to anyone with an interest in trading forex, wants to learn Elliott Wave or a Forex trader who wants to follow there signals blindly whilst getting a good handle of how to manage as a trader. Keep up the GREAT work guys!!! Hello there. I’ve been trading and following Elliottwave-Forecast for a long time now. I first started noticing his trade calls and wave counts on twitter, that was before he opened his business of being a mentor and helper for us newbies to the forex market. Its been almost a year now and I can honestly say that Eric is a genuine professional person. He’s not here to rob people and give them false hopes. He wants to help anyone interested in taking the next step in enhancing any personal strategy with clear cut wave counts. Yeah he is not perfect, BUT no one is. He’s interpretation along with daily videos makes trading decision ALLOT easier. Im a day trader and having his Elliot-wave principal along with my strategy that makes trading far less emotional. It is in my 2 year experience of being a trader a must have essential to have a mentor and not having Eric or the Elliot-wave understanding is like flying without wings. All the best to anyone without the Elliot-wave understanding.